Some companies say a classic expense-control strategy can still get great results. Is that operation he's recommending even necessary? (Bloomberg Business) — In the window before his kids wake up and he has to go to work, Dr. Gregory Gebauer helps people he’s never met avoid needless surgery. That’s when the Florida spine surgeon reads charts and examines MRI or X-ray scans referred to him through a company called Grand Rounds, a San Francisco startup that promises to save employers money and help their workers find better care. He often finds that patients have been given an inaccurate diagnosis or recommended for an operation unlikely to help them. “There’s certainly a time and place for surgery, but usually, at least in my practice, I recommend other things before jumping to surgery,” says Gebauer, who has reviewed more than 50 cases from patients across the United States. The full-time orthopedic surgeon is one of an army of expert doctors who moonlight remotely for Grand Rounds, which has raised $106 million in venture capital, including a $55 million round announced today. The 4-year-old company, which takes its name from the term for expert presentations doctors give to their colleagues, has signed such clients as Comcast, Costco, and Jamba Juice. About 60 percent of large employers plan to offer tools like second-opinion services or other advice to help patients make medical decisions in 2016, up from 48 percent this year, according to a survey of 140 large companies by the National Business Group on Health. Grand Rounds Chief Executive Owen Tripp says about two-thirds of all its reviews lead to changes in diagnosis or treatment. Grand Rounds and its competition—companies such as Best Doctors, 2nd.MD, and Accolade—are trying to help employers deal with a problem that plagues American health care: wild deviations in care among different providers and regions. For example, patients in Bradenton, Fla., get a controversial spinal fusion surgery for lower-back problems almost 14 times more frequently than patients in Bangor, Maine, according to data from the Dartmouth Atlas of Health Care, which tracks disparities in care. That kind of variation is at least partly responsible for America’s outsize medical costs, which are higher per capita than anywhere else. It’s some combination of errors, differences in professional judgement, and a payment system that often creates incentives for doctors to prescribe treatments most lucrative for them. “There is a tremendous amount of misdiagnosis that goes on,” says Lewis Levy, chief quality officer at Best Doctors, which contracts with 50,000 physicians to do remote second opinions for clients. 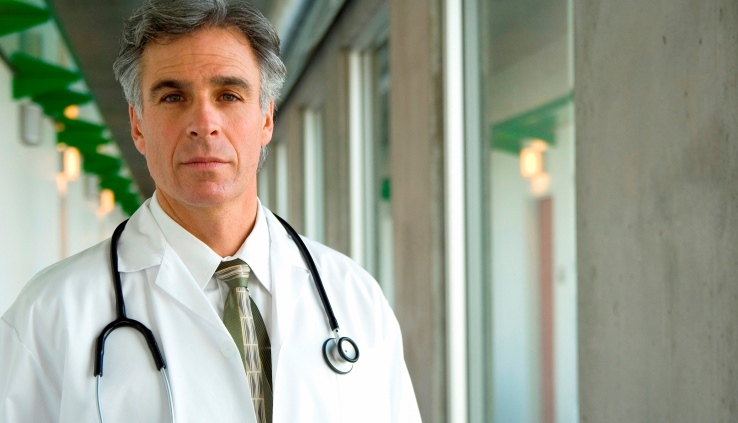 The doctors are recommended by peers as leaders in their field. Second-opinion services allow employers to take a softer approach than enforcing strict rules requiring workers to get permission before seeking costly treatments. Most companies that offer services like Grand Rounds and Best Doctors make them voluntary, and though there may be incentives to get a medical decision reviewed, workers can usually skip the second opinion or ignore it if they disagree. That makes the services seem less coercive than restrictive HMO rules. It also means companies sometimes struggle to get workers to use them. “One of the biggest knocks on this is no matter how much you communicate this, at the time the employee needs this, they may not remember that that service is available to them,” says Shari Davidson, vice president of health care cost and delivery at the National Business Group on Health, a nonprofit alliance of large employers.